Summer is here and your classmates are getting ready to split. Summer is perfect for Facebook, MySpace and Friendoozle. Stay in touch with your classmates and friends throughout the summer here. Socialnetworking central for high school, middle school and college classmates Friendoozle is your place. We want to know how your vacation is going. Post your vacation blog and upload your pictures. If you have a video camera upload your vacation video. 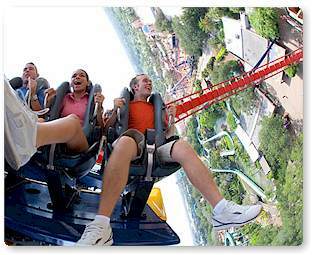 Theme park vacations mean concentrated high energy entertainment. 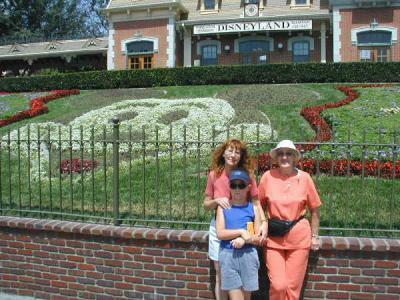 Theme park vacation are recommended for the whole family. 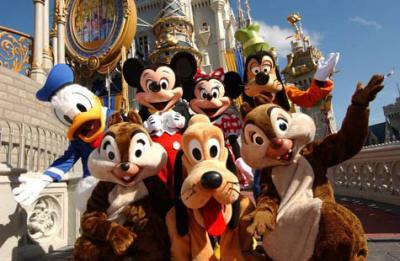 Amusement park vacations give that child in you the best way to bond with your children or friends. We all love them so which is your favorite? Is it Disneyland, Busch Gardens, or maybe Six Flags. For those of you who love chocolate there's one of our favorites - Hershey's theme park in Hershey, PA. How about those of you who live in Tennessee? Dollywood is a great place to visit and they have rides from the very biggest coasters right down to rides for kids of all ages. If you are looking for the really big stuff then it's gotta be Cedar Park, Magic Mountain, Kings Dominion, or Busch Gardens. Tell us what your favorite rides are and what park they're at. Back in the old days our team members here at Friendoozle where know to drop a few dollars just to get on the latest thrill ride. We have even been known to show our faces in a not so thrilling river rapids ride - summer is hot and sometimes we need to cool off after all. You can see one of our videos filmed on the river raft ride at Hershey Park. When it comes to theme parks and rides we like them all. Wherever your favorite spot we would like to get some vacation videos on Friendoozle. We think it would be cool to put together a "summer favorites" video that would include shorts from several video clips and photos - a quick run down of what our members have been up to over the summer break. Whether you are planning a trip to your favorite amusement park or visiting your local zoo or museum we want to hear about your summer. Friendoozle is the newest place to stay in touch with your friends over the summer. For those of you who are Photoshop gurus...if you would like to work Bubbies into your vacation photos or videos we would like to see it. Bubbies is a registered trademark but since the photos will be posted on Friendoozle feel free to experiment and have fun adding him. If you need help adding Bubbies to your photos let us know and we will provide you with the transparent images to insert into you pics. As always stay in touch...log in and keep us all updated on your summer vacation adventures.